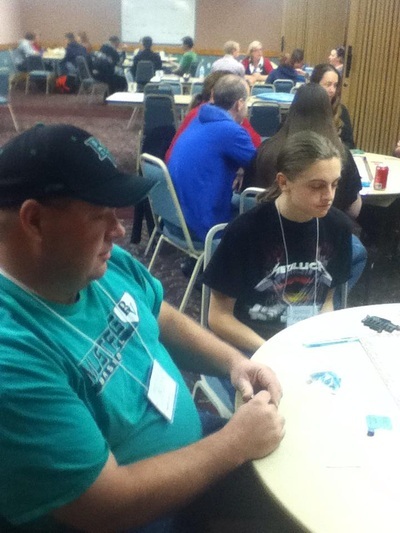 These are the pictures we were able to get. 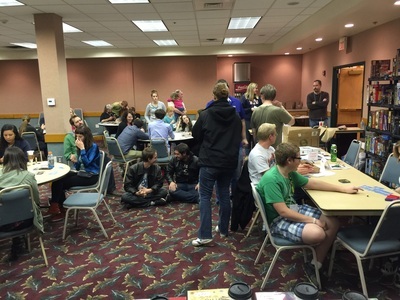 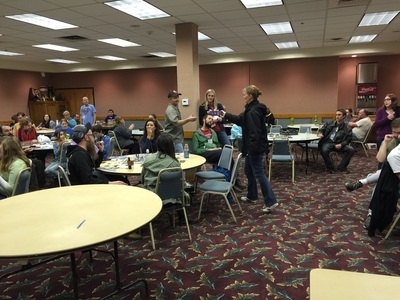 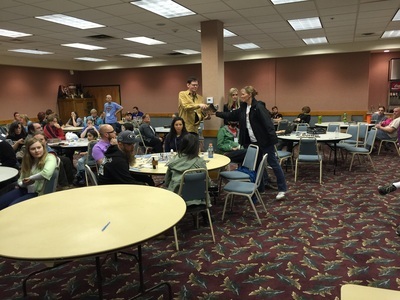 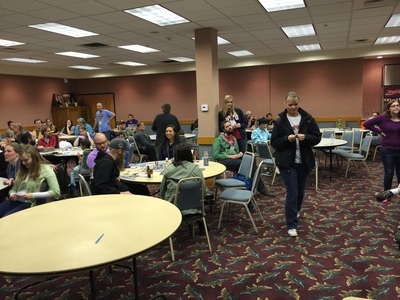 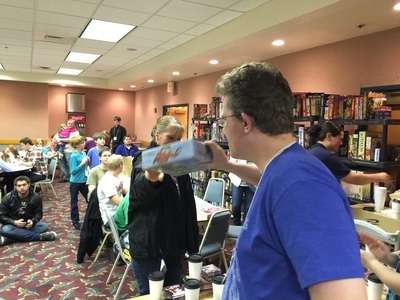 If you have pictures you'd like us to put up on our website, please send them to brycegamecon@yahoo.com. 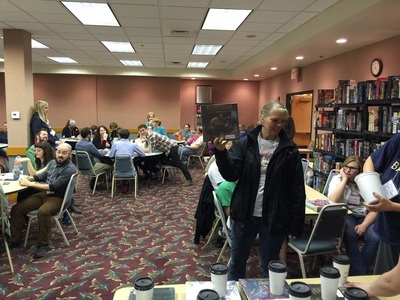 Click the Facebook link above to join our Facebook group and see some of the other pictures that were taken by the BryceCon crowd! 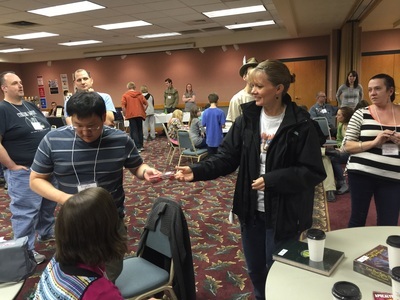 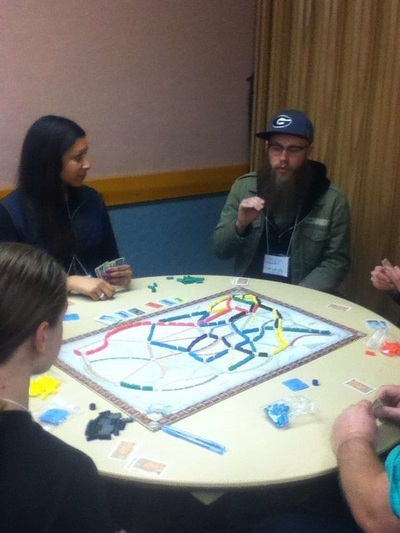 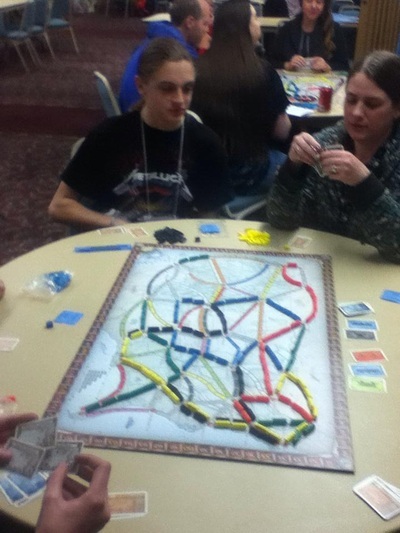 The Ticket To Ride tournament was a lot of fun. 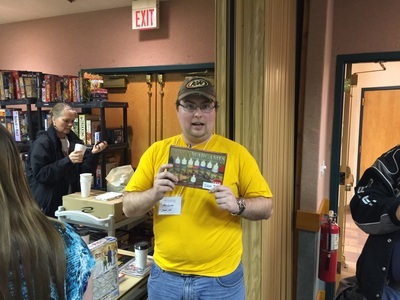 David Broderick got everyone into the spirit of railroad travel with his train whistle and conductor hat! 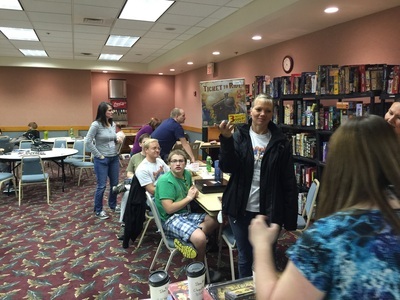 There was quite a group for the Dominion tournament. 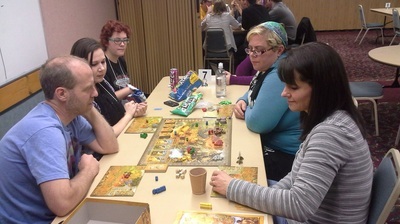 They all look determined to be the victor! 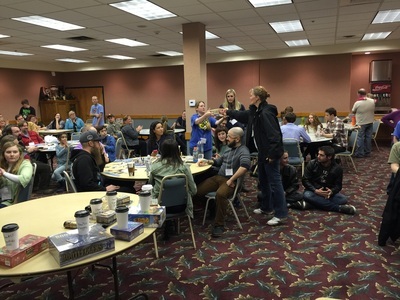 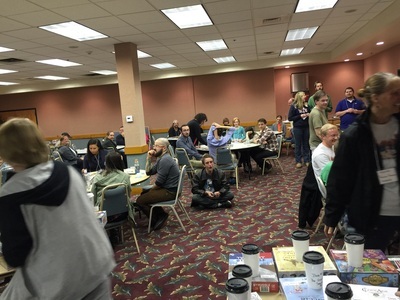 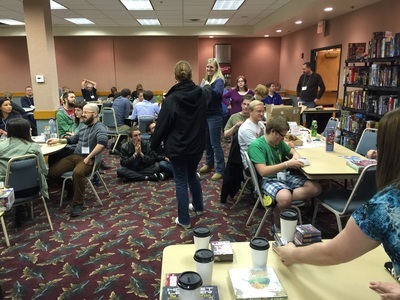 What better place to have a tournament about national parks than at the BryceCon game convention! 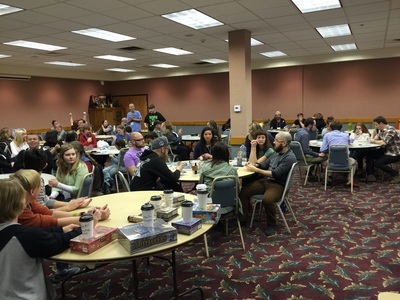 Trekking the National Parks fit right in! 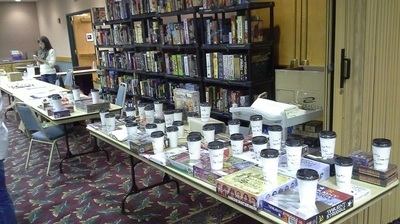 Getting ready for the flea market. 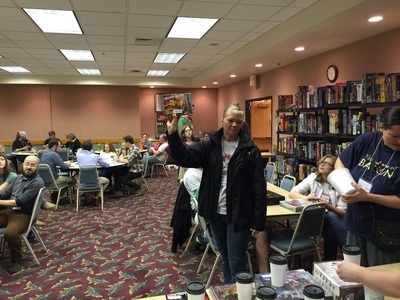 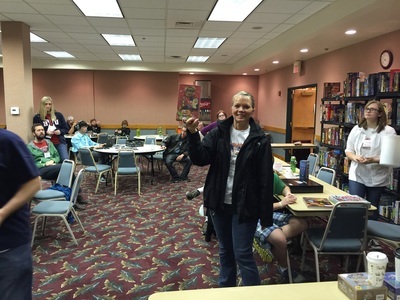 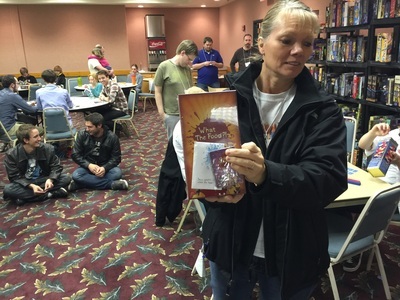 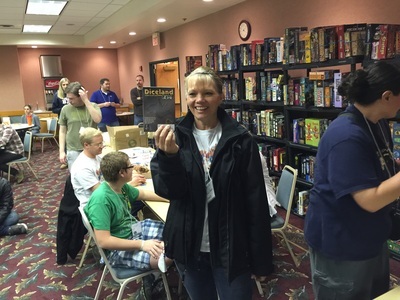 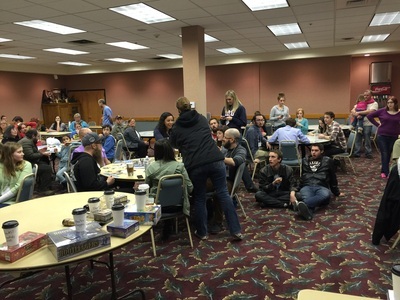 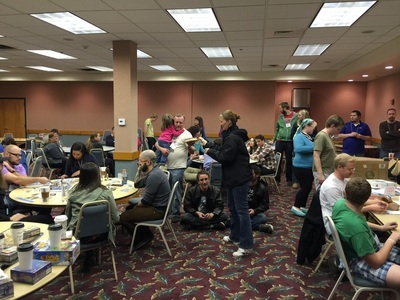 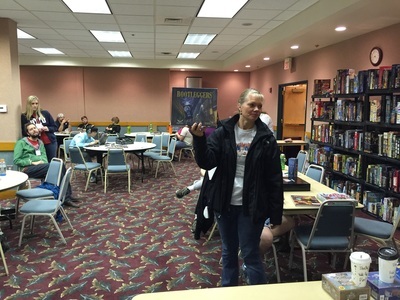 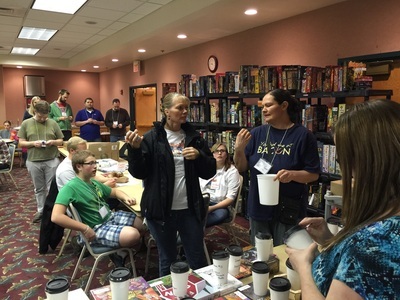 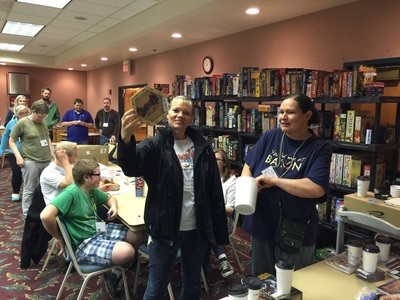 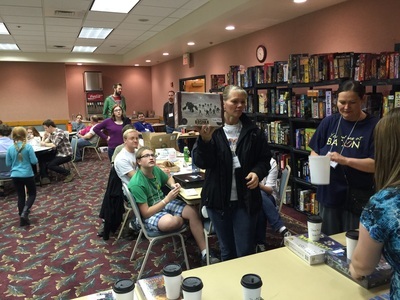 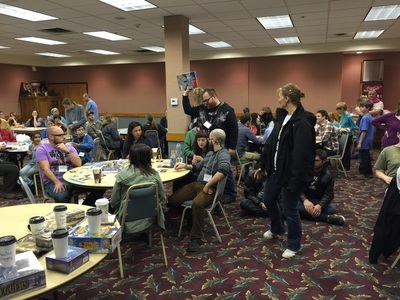 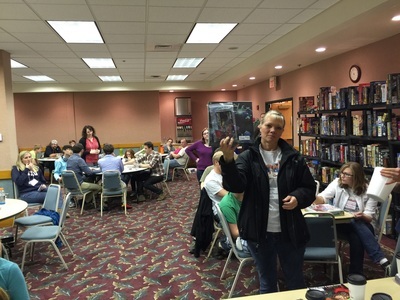 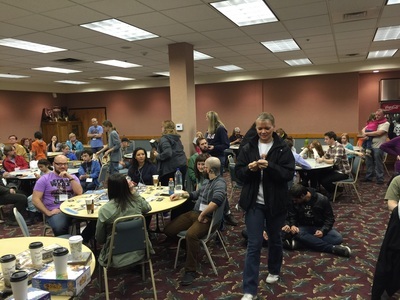 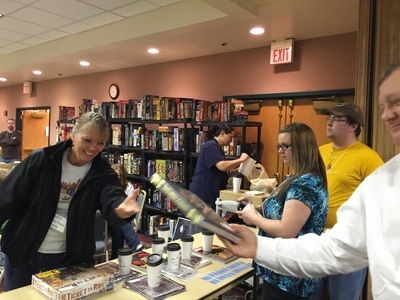 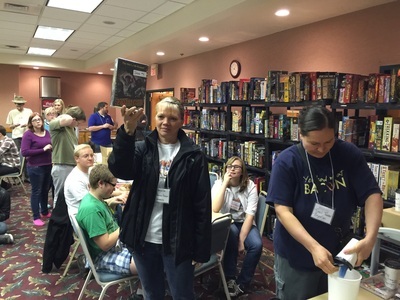 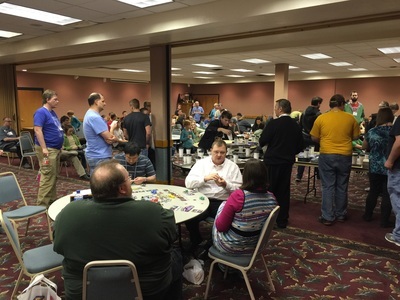 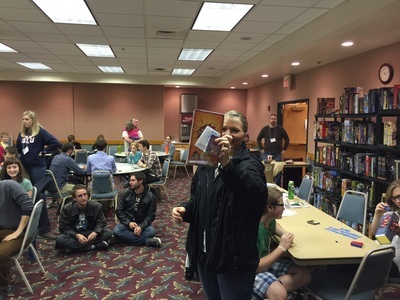 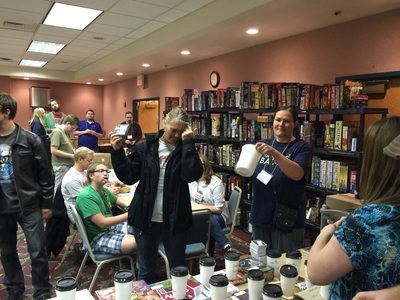 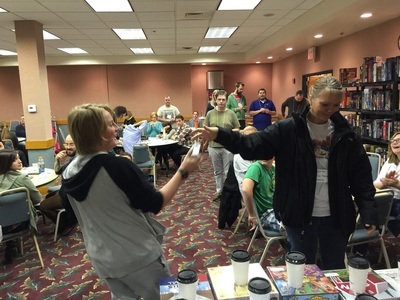 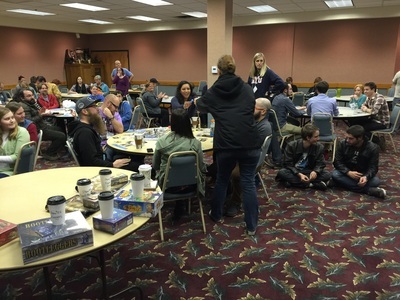 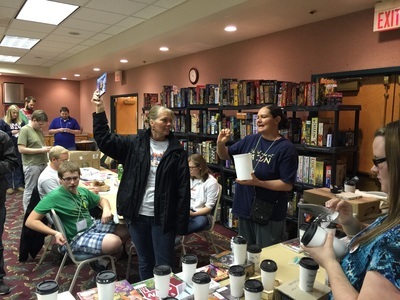 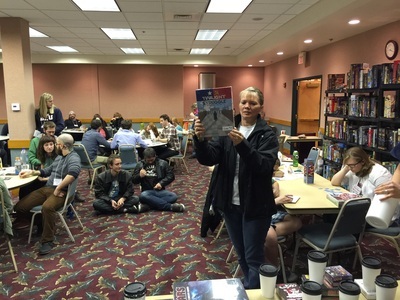 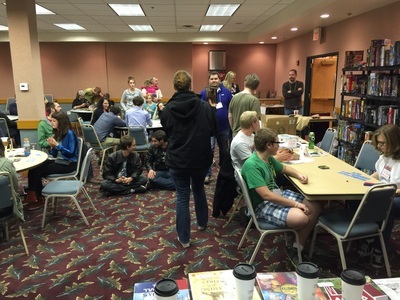 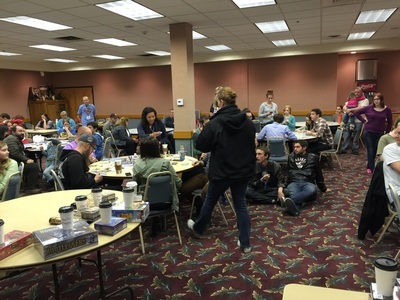 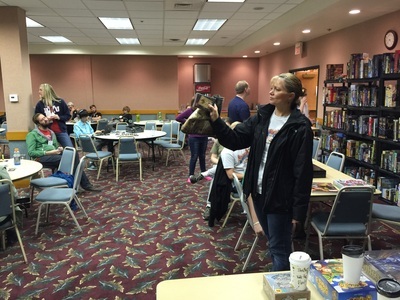 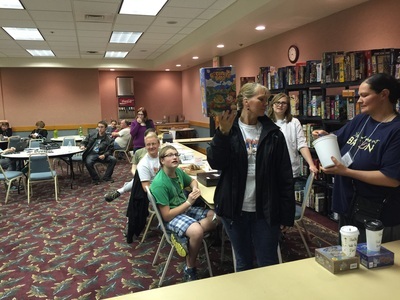 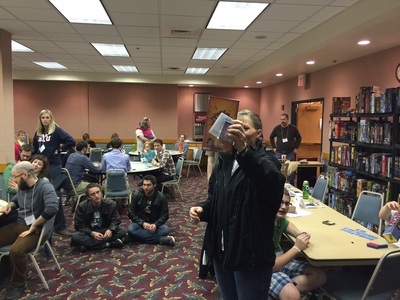 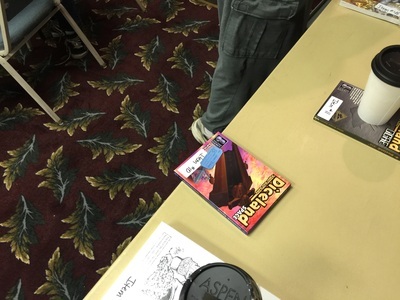 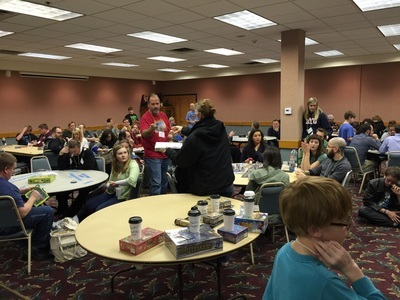 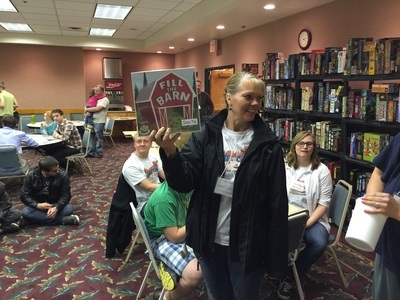 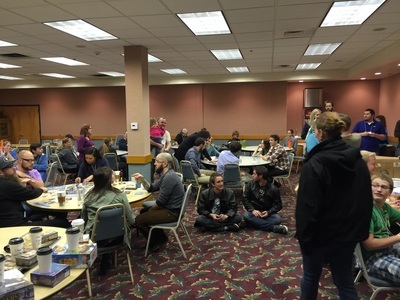 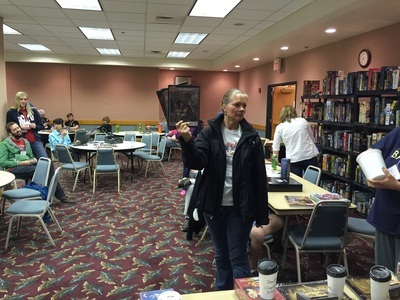 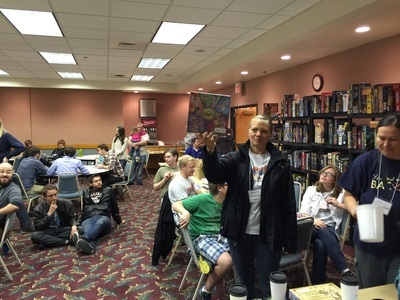 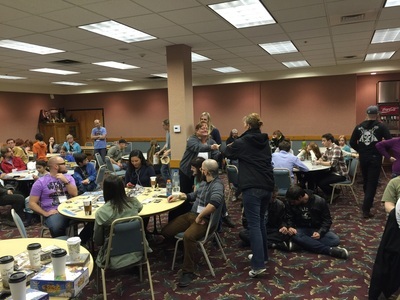 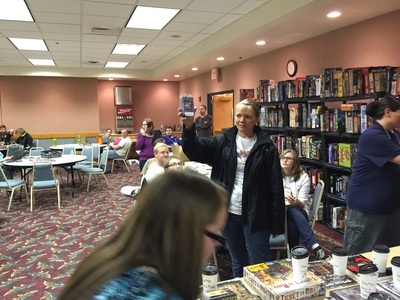 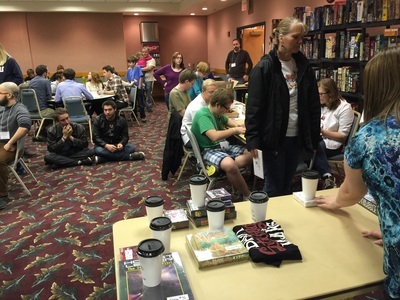 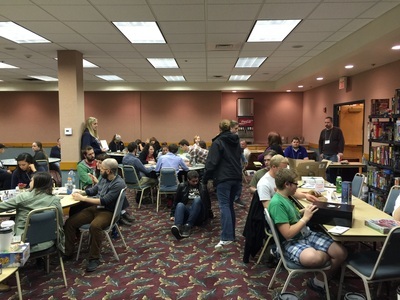 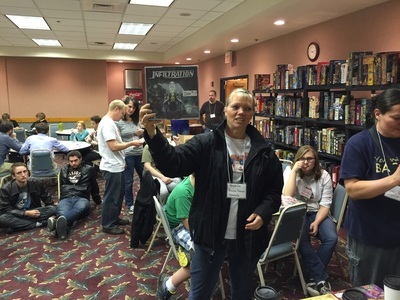 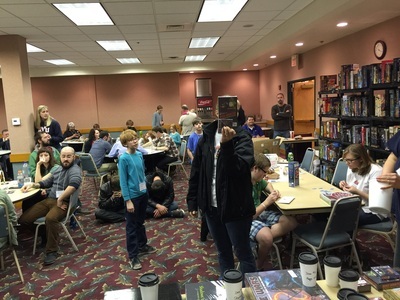 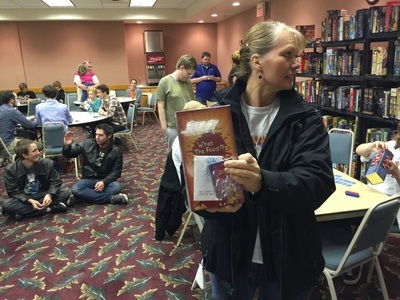 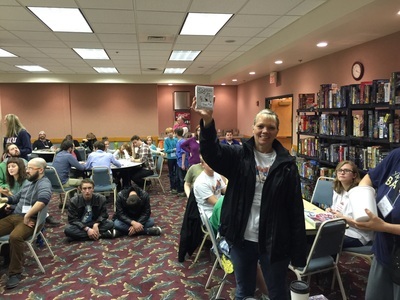 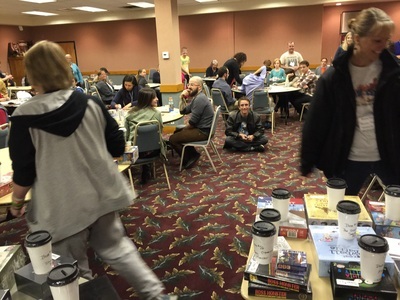 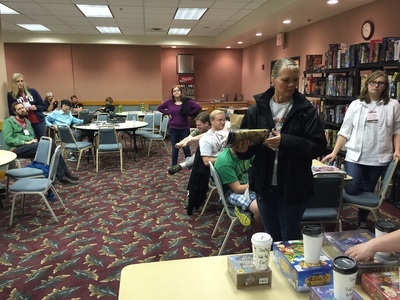 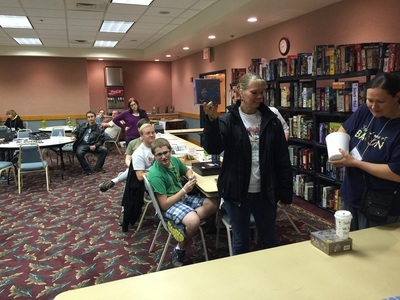 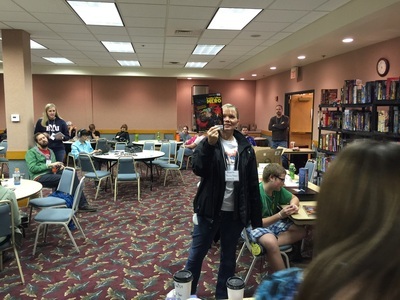 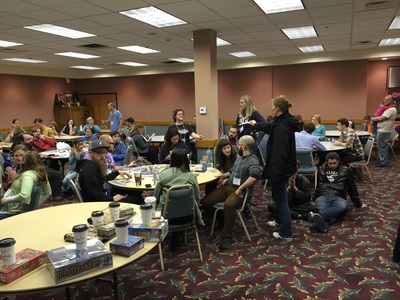 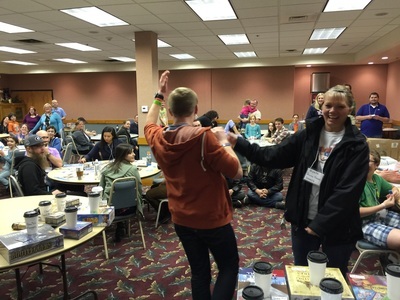 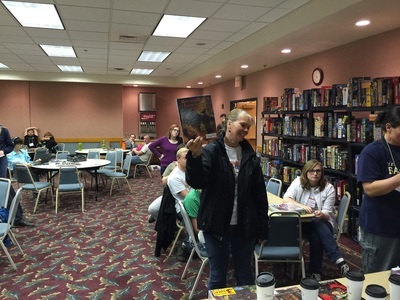 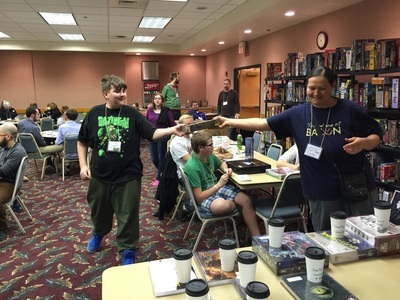 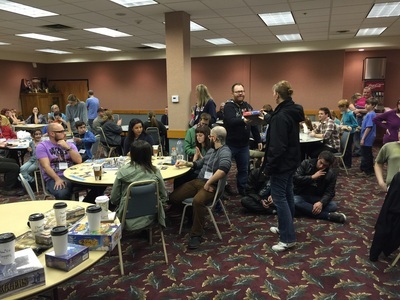 We had over 50 scheduled games at BryceCon. 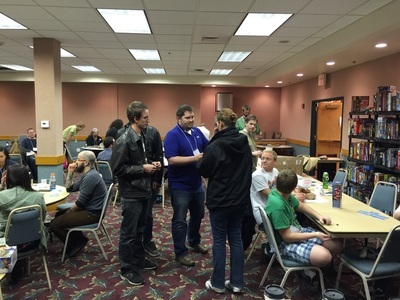 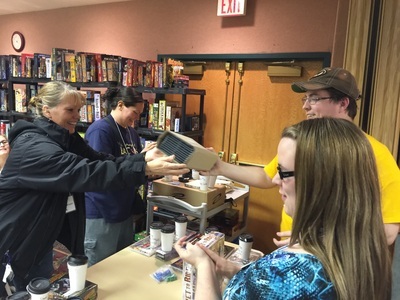 A big "Thank You" goes out to everyone who ran games during the convention. 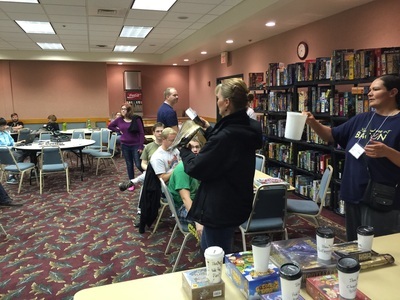 Of course there was plenty of open gaming and lots of games to choose from in the game library. 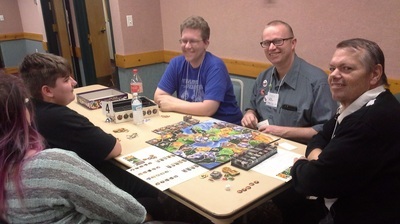 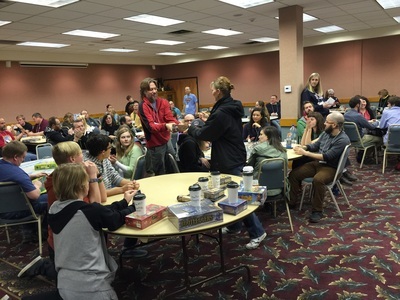 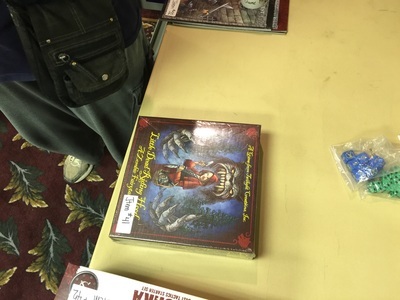 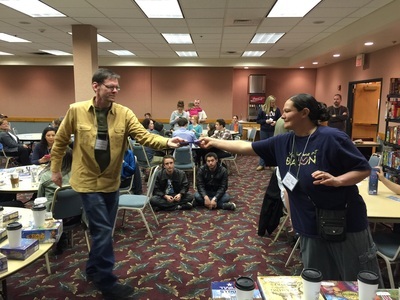 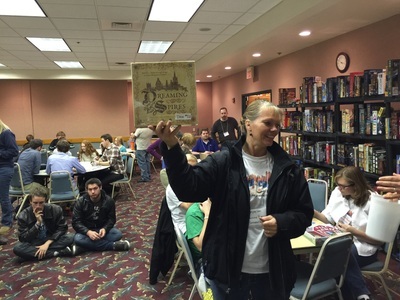 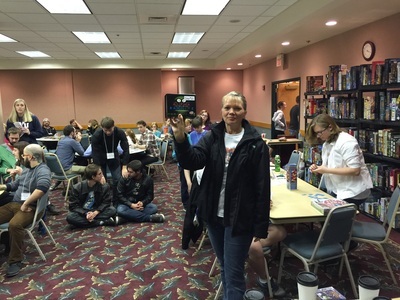 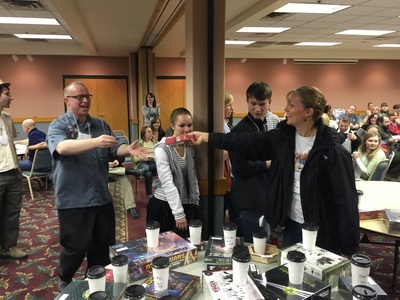 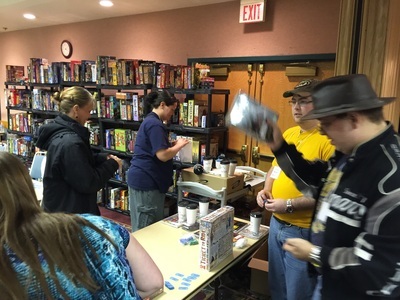 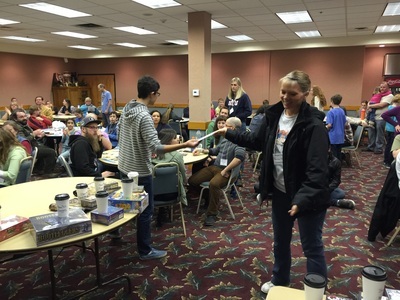 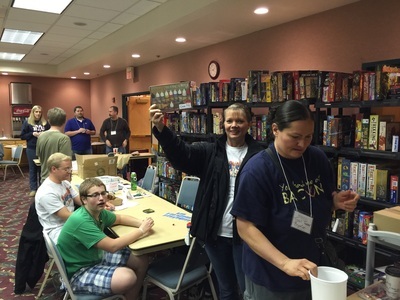 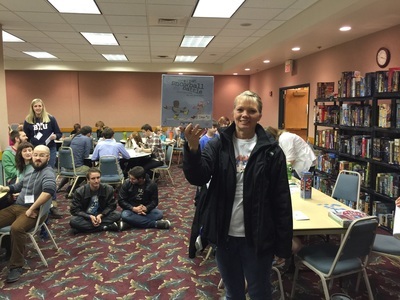 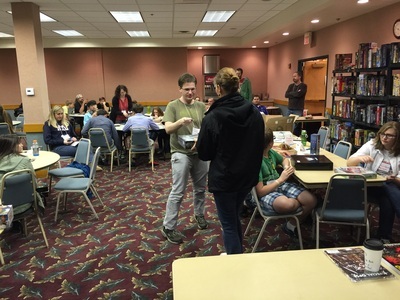 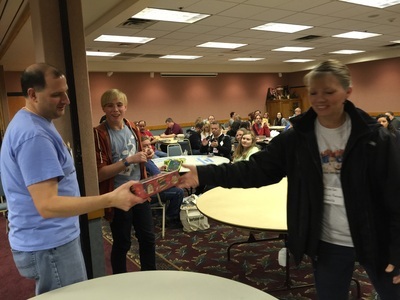 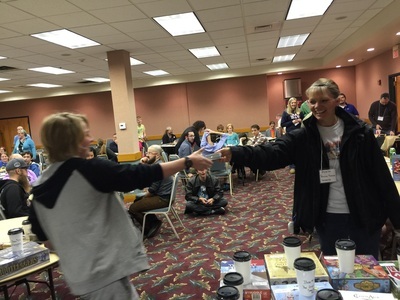 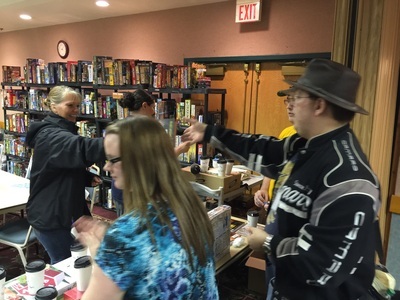 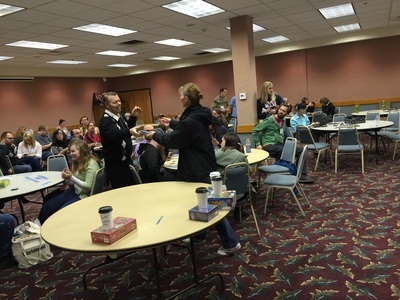 Thank you to SaltCon, Fongo Bongo, and MayDay Games for adding your games to the convention fun! 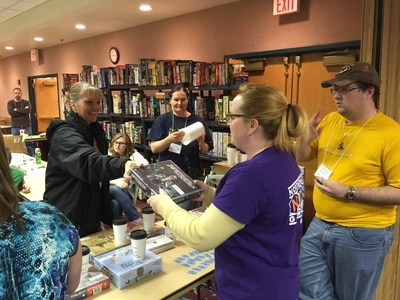 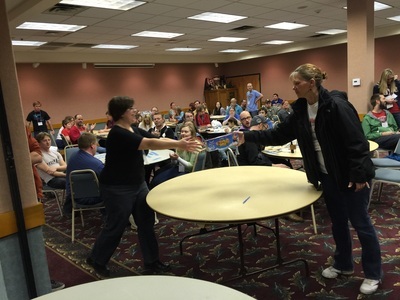 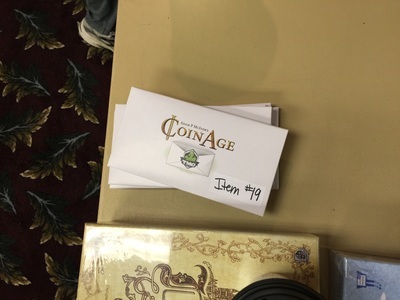 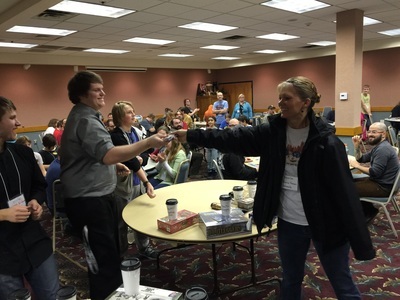 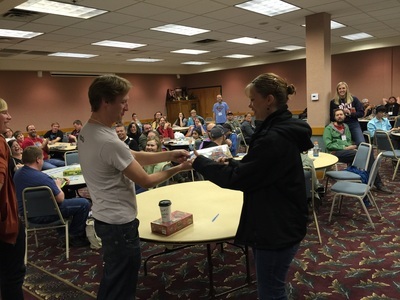 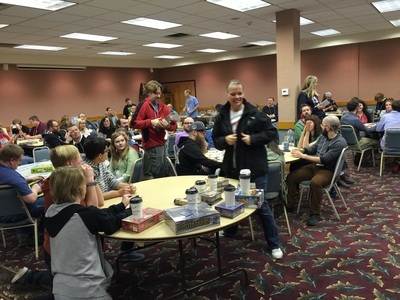 We had close to 60 prizes to give away at our convention raffle! 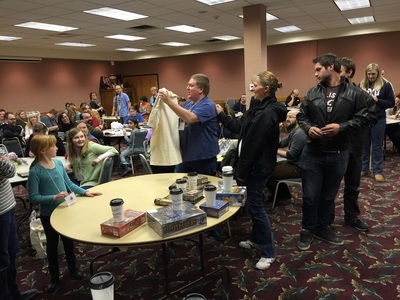 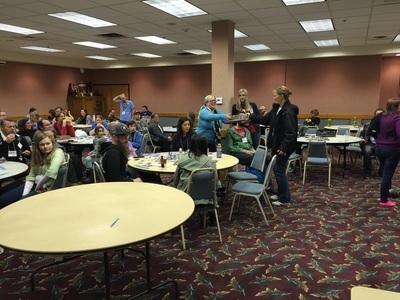 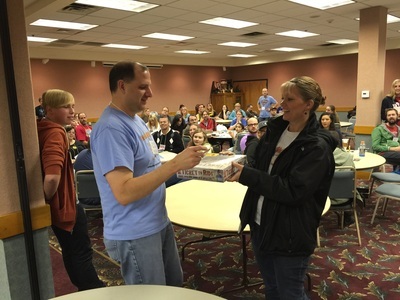 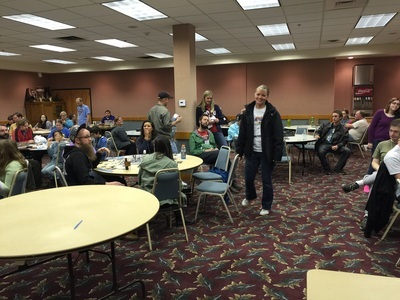 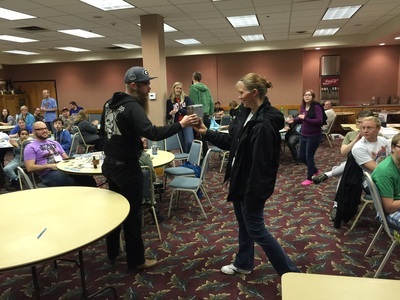 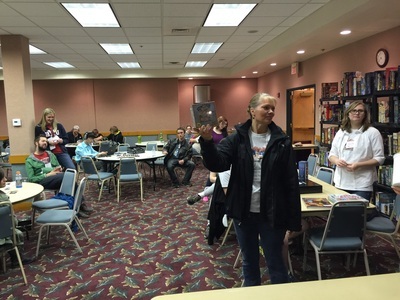 There were lots of great prizes and lots of cheers and congratulations to the winners. 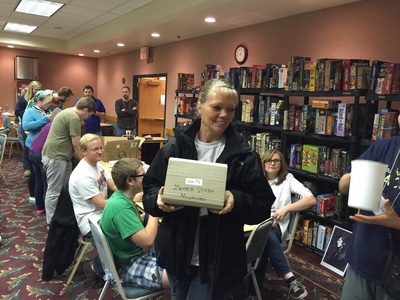 A HUGE thank you to all of our generous sponsors!